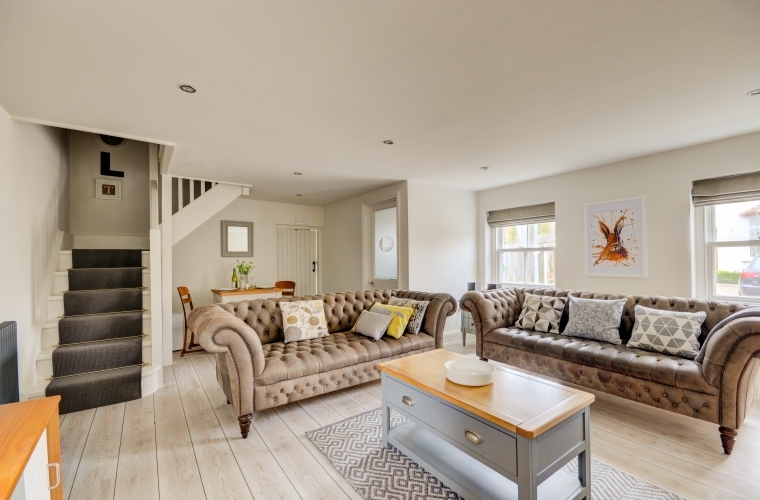 Muddy Says: There’s nothing like a cosy cottage stay to warm the cockles and it doesn’t come much cosier than this little love nest in the pretty market town of Holt. 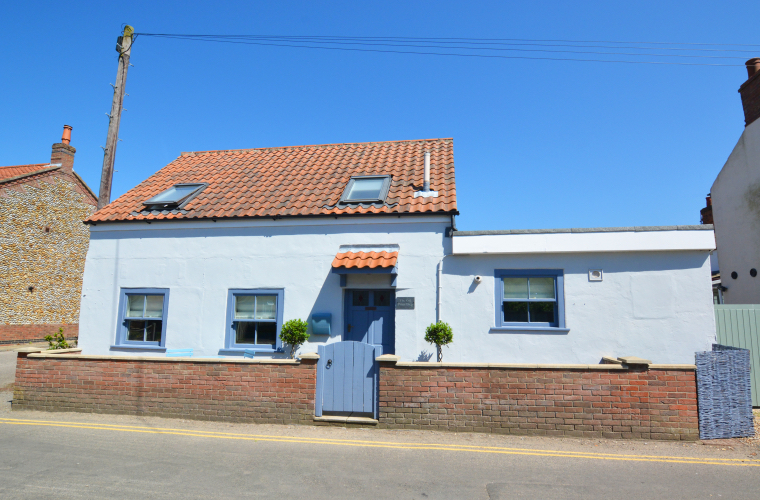 The Old Print Shop is located on a quiet back street in the pretty market town of Holt, North Norfolk. A simple and quaint looking building from the outside, as soon as you open the door you can see the time and love that has gone into making the place as comfortable as possible. The small touches are important – umbrellas, jars filled with sweets and a good selection of magazines. 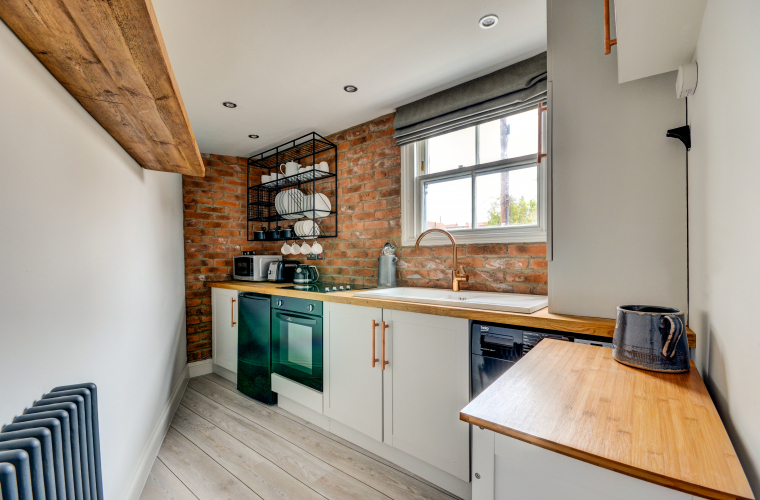 The kitchen is modern and well equipped and the original brickwork provides the perfect backdrop for the copper and white colour scheme. A guest hamper is filled with local goodies – perfect if you arrive late and need the essentials – wine, cake and croissants! 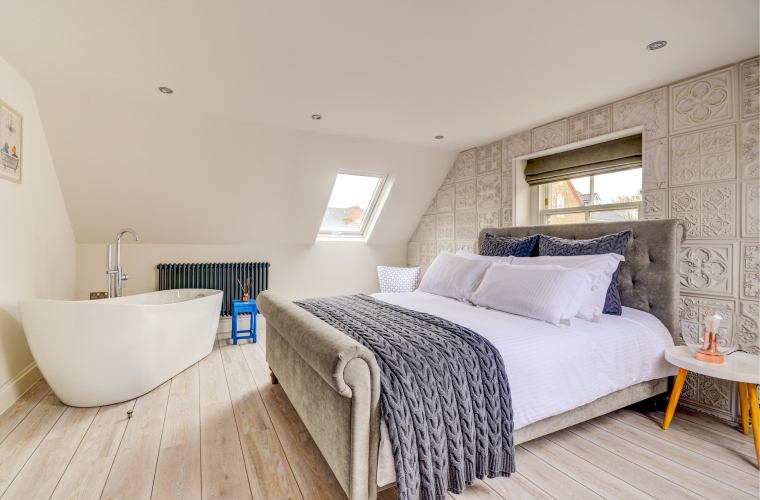 Upstairs you’ll find a large double room with a massive (and mega comfy) bed, statement lighting and, the piéce de rèsistance, a modern roll-top bath in the corner. 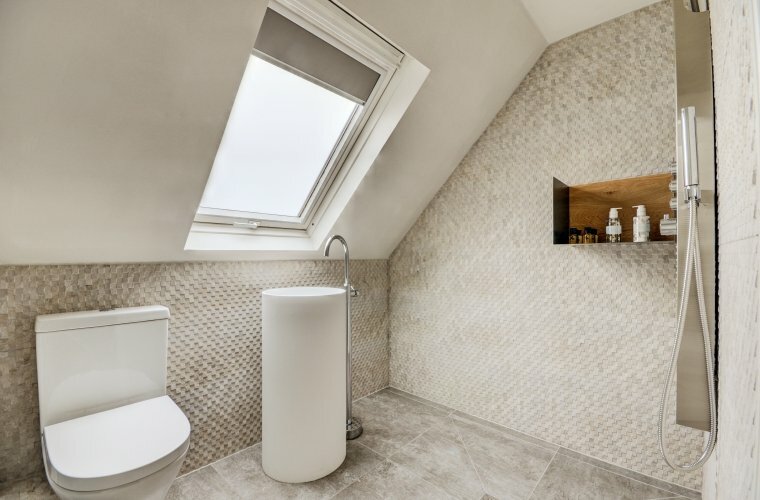 The large wet room is super stylish.